The Chicago Teachers Union is an organization of educators dedicated to advancing and promoting quality public education, improving teaching and learning conditions, and protecting members’ rights. Emanuel "Chris" Welch is the Illinois state representative for the 7th district. Teamsters Local 700 represents more than 10000 hardworking public employees throughout Illinois. 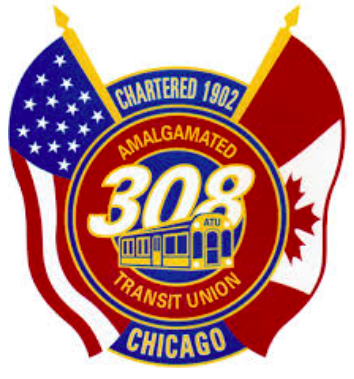 The Cook County College Teachers Union, Local 1600, represents over 5,000 members in 23 chapters in Cook County. We represent faculty members, professional employees, classified employees, retirees and adjuncts within our local. SEIU Healthcare is the fastest-growing union of healthcare, child care, home care and nursing home workers in the Midwest. Robert F. Martwick Jr. is a Democratic member of the Illinois House of Representatives, representing the 19th District since 2013. Our Revolution has three intertwined goals: to revitalize American democracy, empower progressive leaders and elevate the political consciousness. Northside Democracy for America is a grassroots political organization committed to electing socially progressive, ethically committed, and fiscally responsible candidates to all levels of government - local, statewide, and national. United Working Families supports candidates of color and organizes the activism on behalf of working families. Jesús G. "Chuy" García is member-elect of the U.S. House of Representatives from Illinois's 4th district and a former Chicago alderman.